You then should click the three check boxes. These will put your own information on mail pieces instead of your company’s. 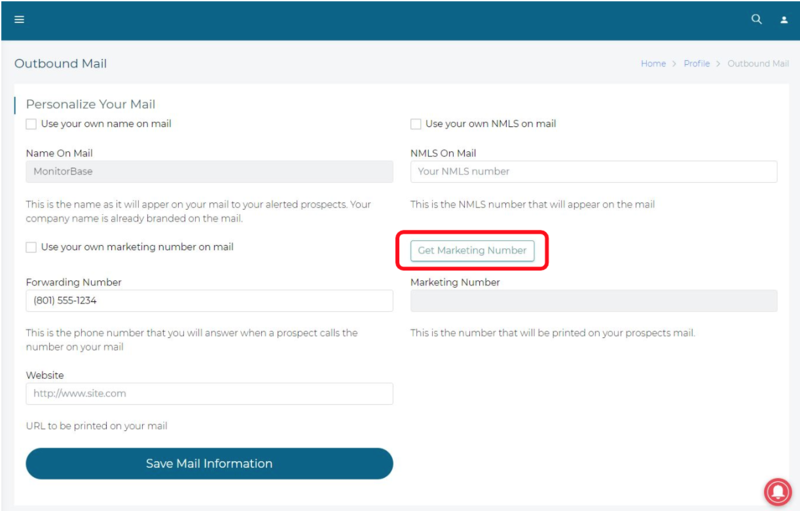 Then click the ‘Get Marketing Number’ button shown below, the phone number that you get is the phone number that will be printed on the mail that is sent out and will forward to your phone number that you set in the “Forwarding Number” box. You have the options to have a toll free or a local number. If choosing a local number, put in the area code you prefer. After that, click ‘Get Number’. A ‘Select Number’ drop down will appear. The number you choose does not matter, it is entirely up to you. 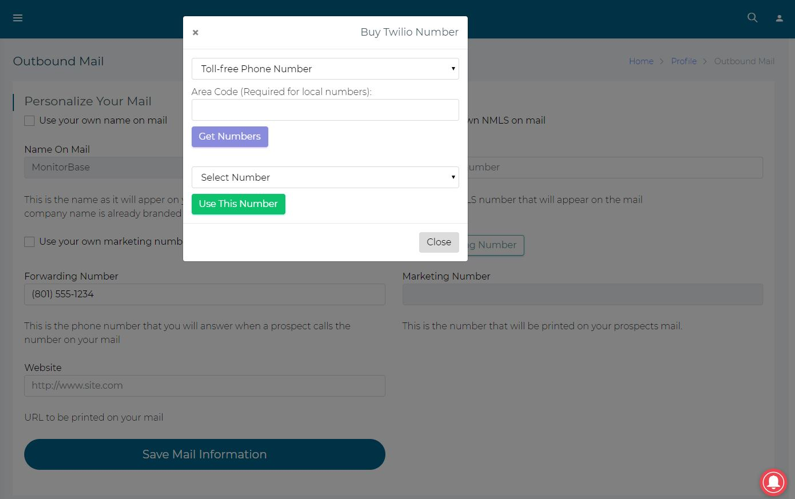 Once you select one, click ‘Use This Number’ and then ‘Close’. Finally, scroll down and click 'Save Mail Information' at the bottom of the screen. You are now finished and all personalized! Note: Personalizing your mail is at no additional cost to you. How to upload a list of prospects. How to preview your personalized email firm offer samples.